File sharing is one of the most important benefits provided by the Internet, and services such as SugarSync and Dropbox have managed to corner a healthy portion of the market. 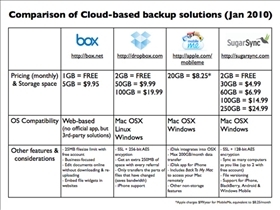 Both offer their own distinct takes on the file-sharing paradigm however, as you will see in this comparison article. SugarSync is a startup company that focuses mainly on data synchronization software. Located in San Mateo, California, the company’s main product, SugarSync, allows for the synchronization of files, photos and media among several computers, and even provides Web-based back up services. SugarSync is available in Windows and Mac OS X versions, with a Linux version currently being developed by a third-party developer. 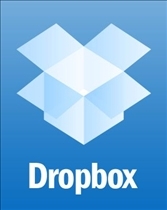 Dropbox is a file hosting service operated under the ownership of Dropbox, Inc. The service utilizes cloud computing as a means to provide file and folder storage and sharing services between people across the Internet. The company was founded as a startup in 2007, with funding obtained from Y Combinator. SugarSync was incorporated in 2004, and by the following year, it had managed to obtain $3 million in funding from Draper Fisher Jurvetson and Selby Ventures. In February of 2006, the company introduced Sharpcast Photos, which allowed the synchronization of images between a multitude of different devices such as cellphones and PCs. Dropbox was the brainchild of Drew Houston from MIT, who set about developing the solution after repeatedly forgetting his USB drive. Houston also aimed to provide a sharing solution that would address issues with Internet latency, large file sizes, bugs, and software that was overly complicated to use. SugarSync distinguishes itself from the competition with an integrated and intelligent automatic sync refresh feature. Unlike other similar services, users of SugarSync aren't required to schedule updates of synced files every week, and will instead constantly monitor changes made to the files, whether they are additions, deletions or edits. These changes will then be synced with the SugarSync servers, as well as other linked devices. Dropbox allows users to drop virtually any file into designated folders, which are then synced with the company’s Internet service, as well as computers and devices of other users of Dropbox client. Users of the service may also upload files manually with any web browser. With its features, Dropbox aims to be a more viable alternative to the practice of carrying around removable media, and other traditional means of file transfer. That being said, Dropbox is more focused on providing synchronization and sharing services, although it does continue to provide storage services as well. Dropbox also has a revision history feature, which allows users to recover files deleted from the Dropbox folder, from any computer synced to the service.